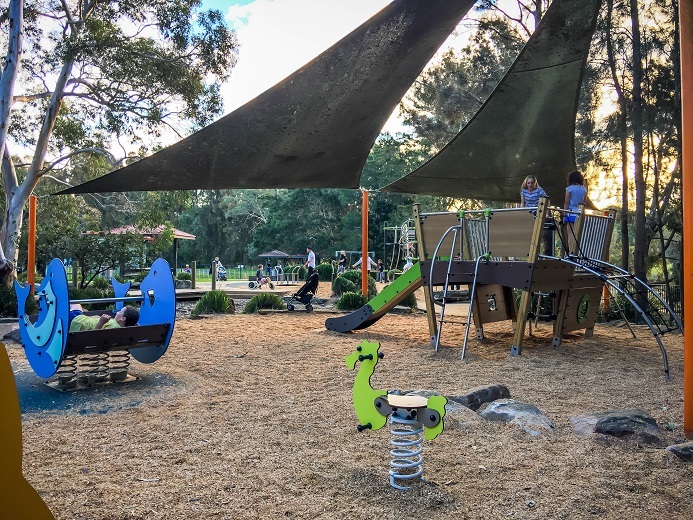 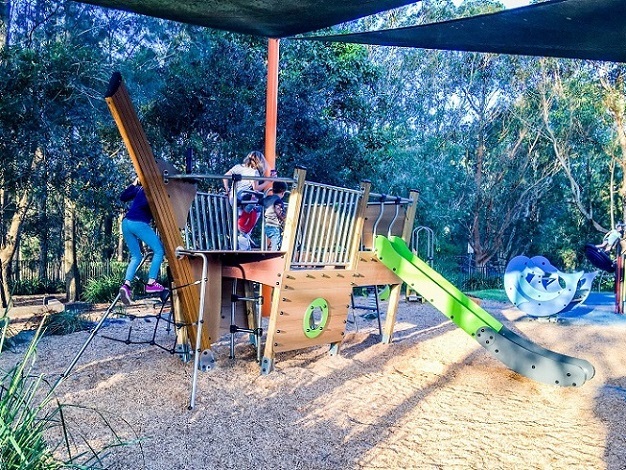 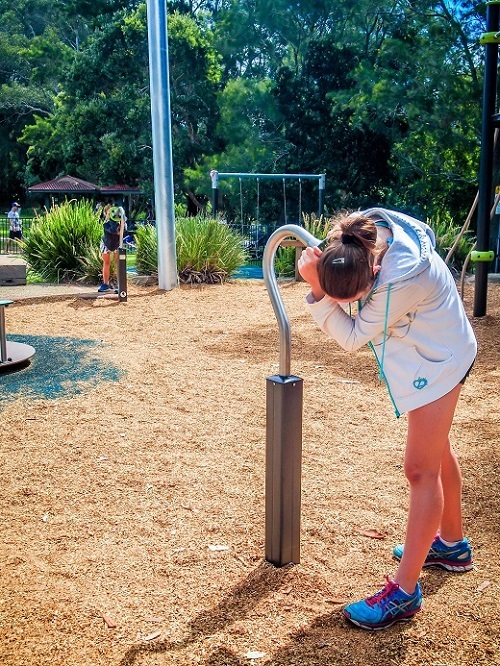 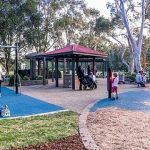 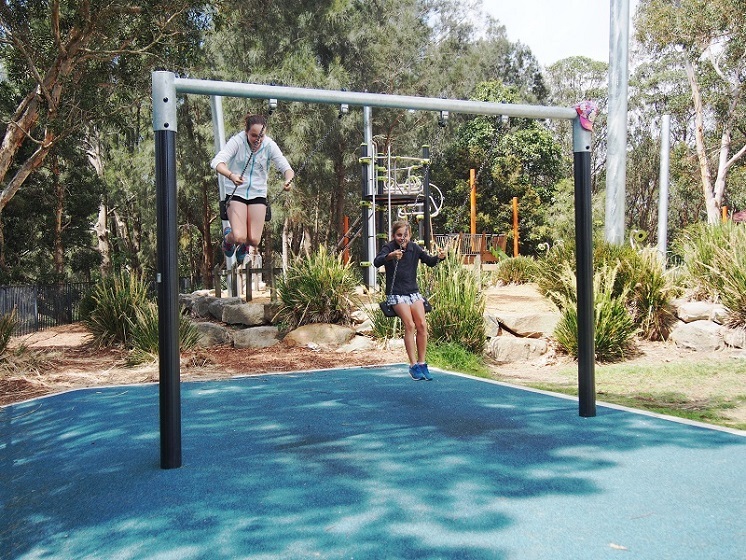 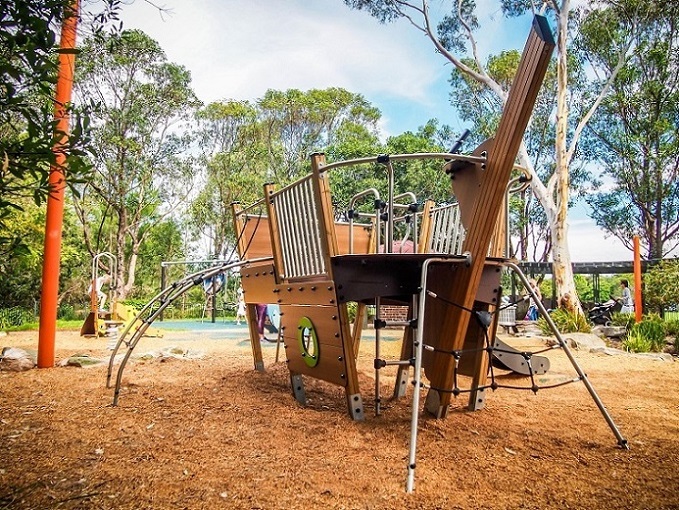 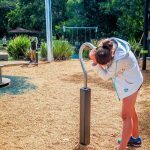 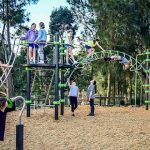 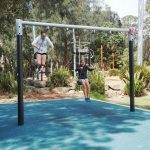 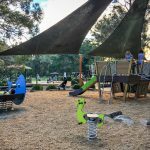 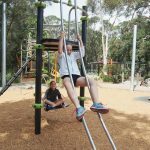 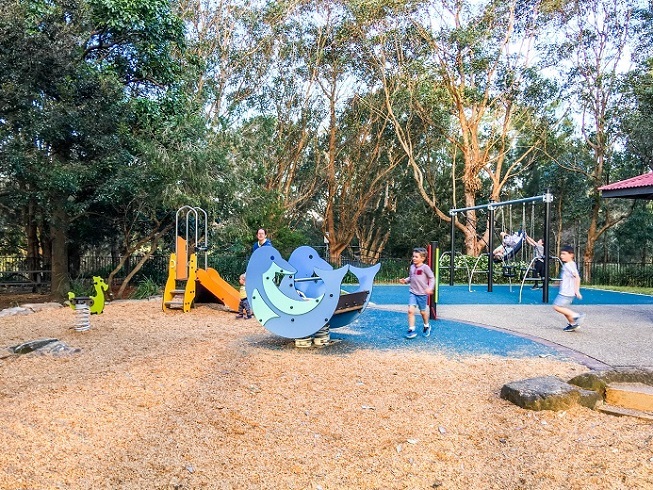 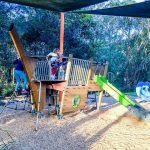 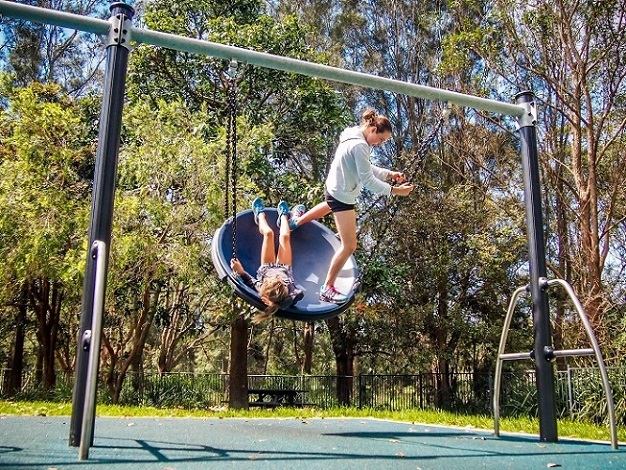 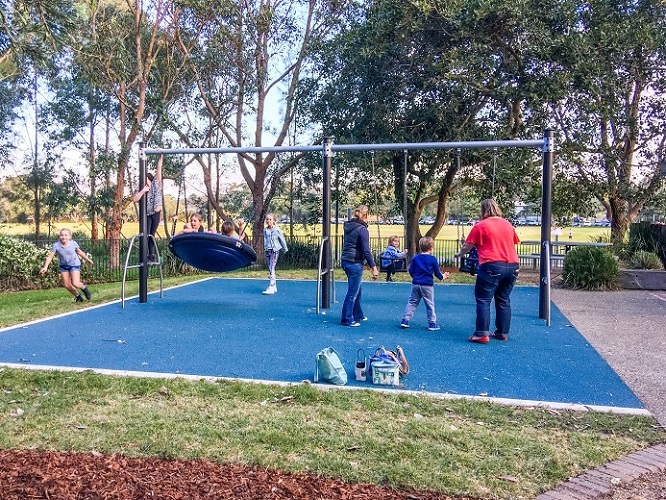 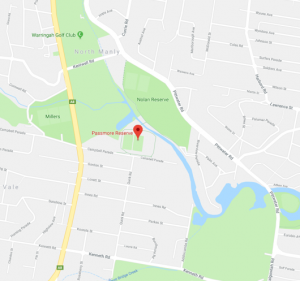 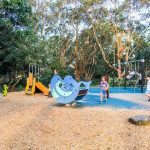 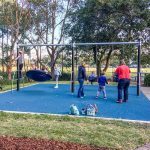 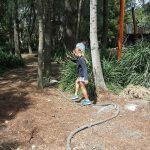 The play equipment design at Passmore Reserve includes a nautical theme which compliments the playgrounds at close proximity to Manly Creek. 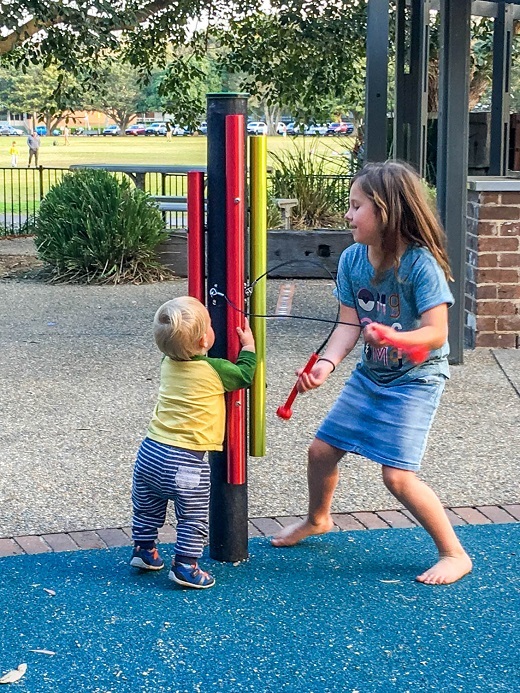 The equipment selection challenges children of all ages and abilities. 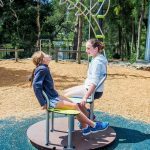 A range of equipment allows access for wheelchairs into the heart of the playground, allowing those with special needs to play all together. 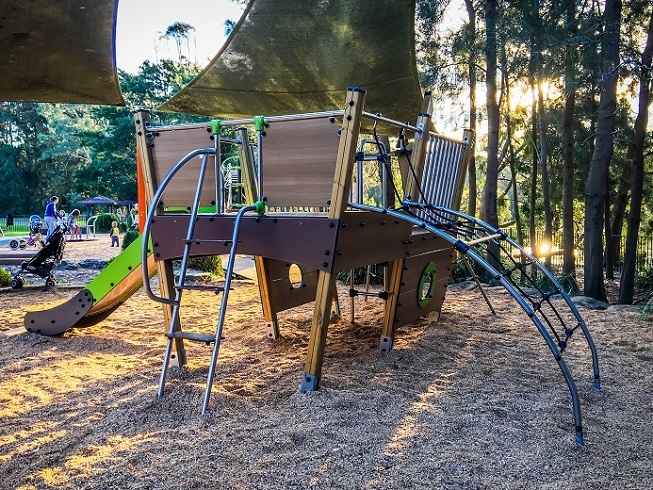 The Adventure Trawler (J1956SP) includes many manipulative and imaginative play items as well as a ladder with hand support to allow access for those with impaired mobility. 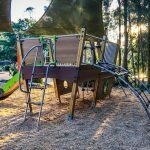 The Ixo Multi-Play (J2540M) climbing unit includes opportunities for climbing, sliding and role play for older children. 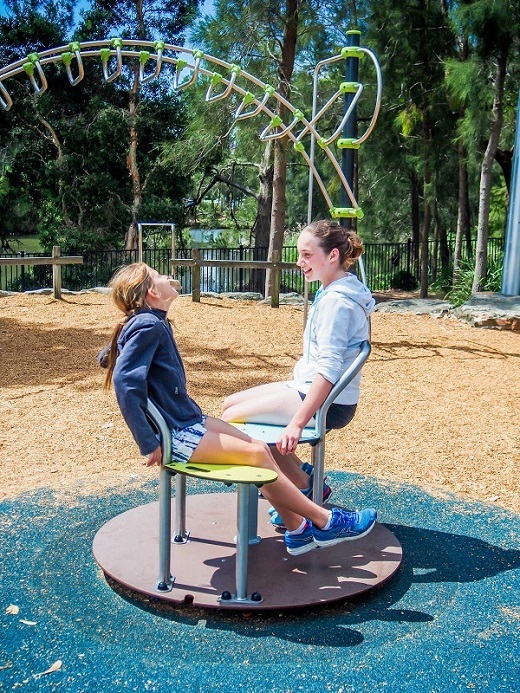 The elevated platform allows children to enjoy the feeling of altitude. 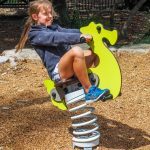 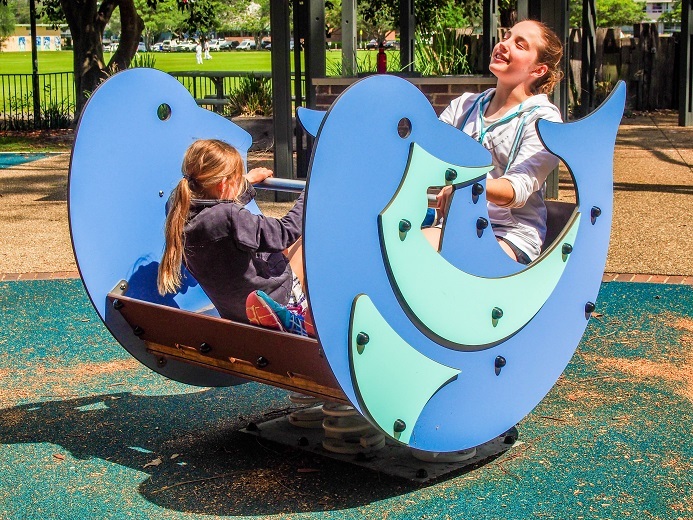 The Tournicoti Double (J2404), Dippy the Dolphin Springer (J981), Tubophones (J3410) and the Chime Solo (IP412) embrace the true meaning of inclusion and social integration, enhance the imaginative play options and provide supportive features which help children feel secure while playing. 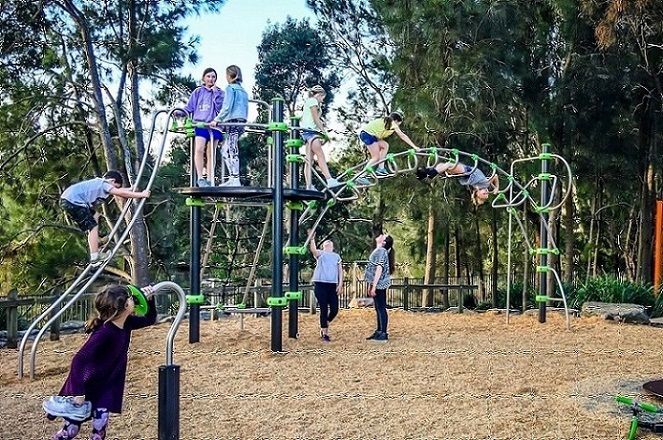 These are all accessible from the ground. 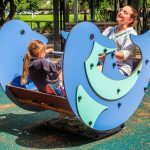 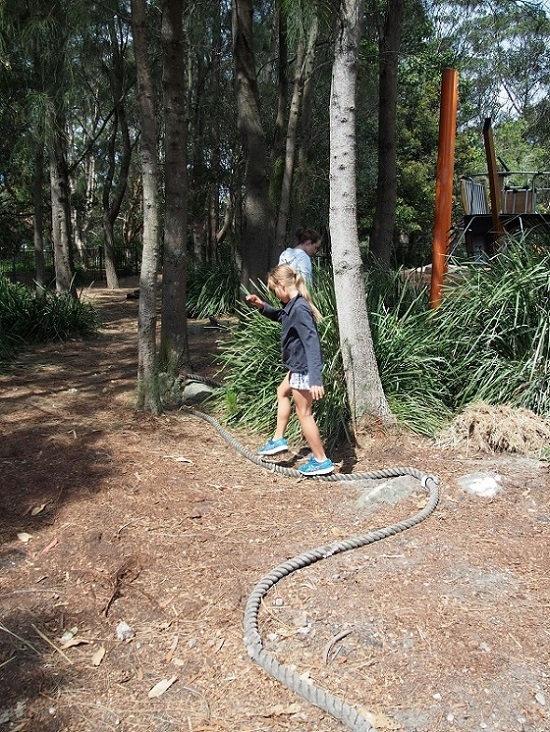 The surfacing design includes mulch with rubber pathways that provide access for those with motor impairments. 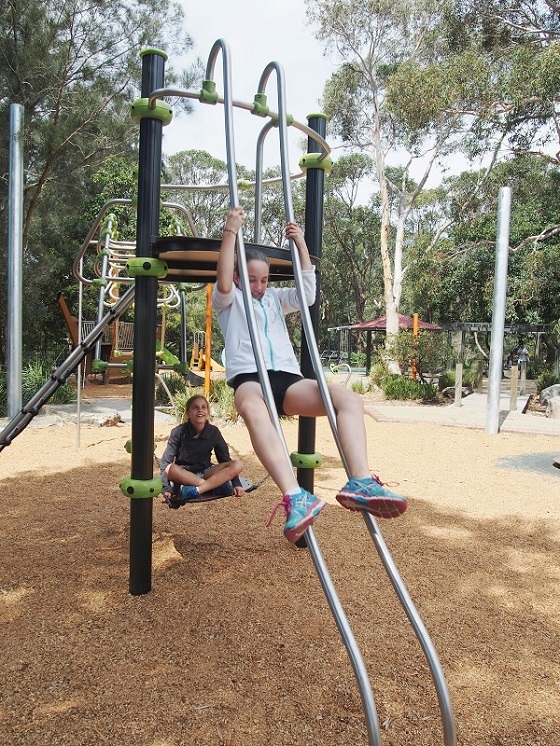 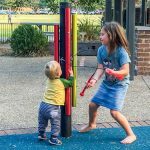 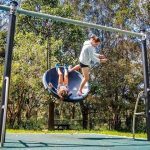 The two sets of swings (J479 + J484sp) combine motor coordination and sensory stimulation while encouraging social play. 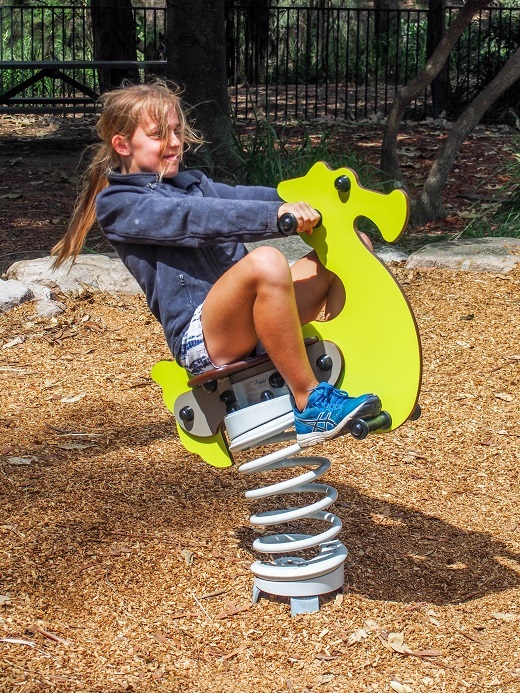 The Diabolo (J3858) and Searhorse Springer (J854) encourage play and group play opportunities for younger children.